You can’t get enough of Clarks! 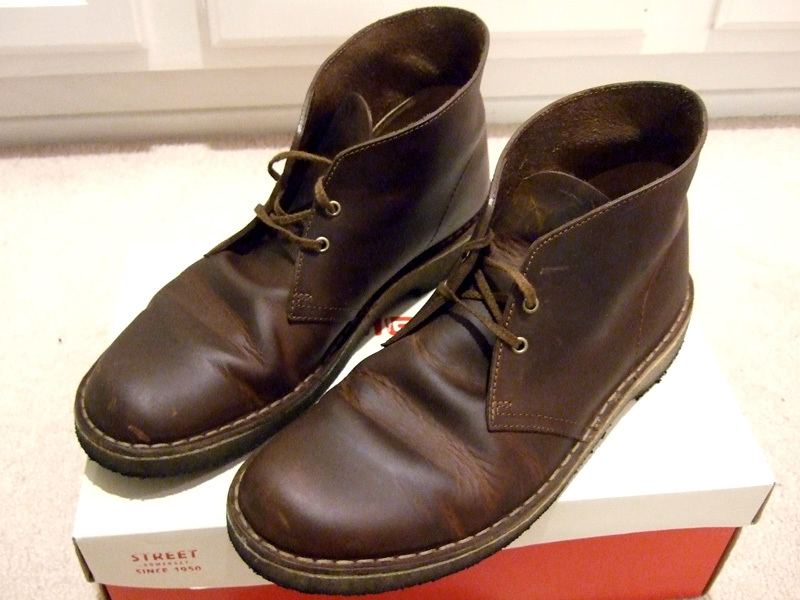 An international cult classic, the Desert Boot was inspired by the crepe-soled boots worn by British officers in World War II. They are comfortable, stylish and simple in detail! Timeless styling has remained unchanged for fifty years. The Beeswax color is the best! It is a stiffer leather that scuffs up and breaks in with use! They will never stop looking good and will go with anything you can wear! Put them on and stroll down town!